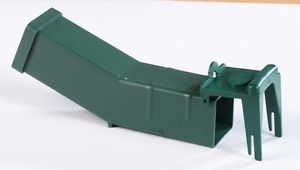 Humane Single Live Catch Mouse Traps pre baited and ready for effective use to catch mice alive. For maximum effect place two Humane Single Live Catch Mouse Traps back to back and parallel to a wall where the mice infestation is apparent. Once there has been a [ single ] mouse catch, the front of these humane mice traps closes and the mouse cannot escape. NO POISON - NO KILL with these live capture mouse traps.